The Husqvarna PZ 34 Commercial Zero Turn Mower represents the latest in high performance drive systems and operator interfaces. 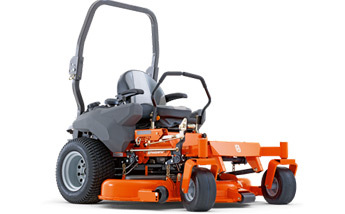 Combined with high productivity cutting deck designs, these ZTR mowers deliver premium cut quality and clipping dispersal at higher ground speeds. Careful consideration of components and design not only provide extended durability but unprecedented ease of service access. The PZ 34 comes fitted with a 60” fabricated side discharge cutting deck. The PZ 34 comes fitted with a 72” fabricated side discharge cutting deck.